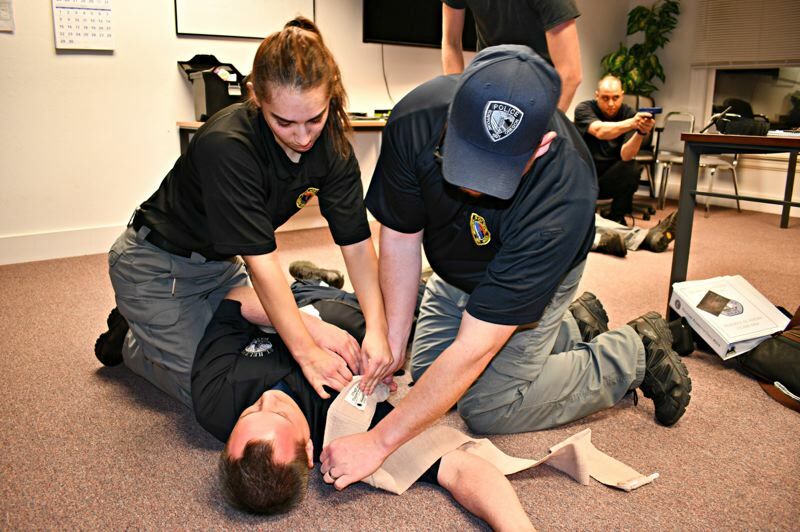 The St. Helens Police Department is accepting applications for its reserve academy, which provides 22 weeks of training in order to become a SHPD reserve officer with the department. The reserve academy is entering its fifth session, which will primarily be taught by Sgt. Jose Castilleja, who recently inherited the program from the founder and former leader of the program, Lt. Joe Hogue. Castilleja said he is not planning any major changes to the program and is looking forward to teaching the courses. Castilleja said the program is a great way for anyone who may be interested in a career in law enforcement to learn more about the job in a hands-on way by attending the twice-weekly evening classes. "What it does, is it gives citizens a chance to explore what policing is without leaving their day jobs," he said. During the course, students will learn about many of the subjects and topics that are taught to full-time officers who are going through police academy training at the state level. Topics range from learning about evidence collection, traffic law and CPR to learning about state programs and local resources, such as Child Protective Services and Department of Human Services. Once students go through the reserve academy, they are eligible to be a reserve officer with SHPD. A handful of reserve officers, including current SHPD officers Kate Welter, Dylan Gaston and Jamin Coy, went through the reserve program before being hired. While Castijella said he didn't go through a reserve program before joining the department, he wishes he had gone through a similar program to get an idea of what the job entails. "Most people just don't realize what they're going to be doing all day. The things you see and do, it changes you and by the end you're not the same," he noted, reflecting on the challenges and rewards of police work. "But if I could do it over, I would. The impact on the community is bigger than you think." Classes for the reserve academy will be held Tuesday and Thursday nights from 6 to 9 p.m. from Jan. 22 to June 20. Applicants must be at least 21 years old, hold a high school diploma, and be a U.S. citizen. Applications are available on the city's website and must be completed by Friday, Dec. 28.